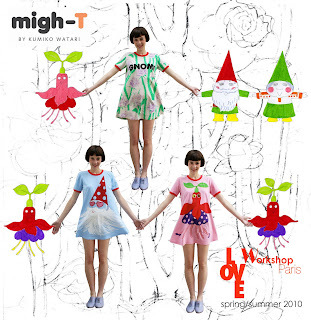 I am going to show migh-T Spring Summer 2010 collection at WORKSHOP showroom in Paris from 1st-4th 0ctober! The show is held in the heart of Pairs, CERCLE REPUBLIAIN, near Palais Royal. The theme for this collection is GNOMES and the world around them. Please contact me for appointments and any more information.